That was perfectly helpful! Thank you so much!! If you're looking for Kotetsu as in his normal clothes out of his hero suit, I would warn you not to get the Figuarts Zero. The sculpts are not very good and the whole line was a disappointment. My fav hero is Sky High and I was very excited for his ZERO when I went to a warehouse sale until I saw it IRL and I was so disappointed. Even a $13 price tag could not sway me to buy that disappointment. I would, however, recommend the DX line ITEM #99539 of prize figures, since I own the Keith from the set and he looks stunning especially for a prize figure! I don't personally own Kotetsu, so I'm unsure how he looks. There's also the G.E.M. figure ITEM #91192 of Kotetsu, but I don't own him or any of the G.E.M. line so I can't personally vouch for it. I know a few friends who like the line so I think it's good at least. In terms of his suit version, you can't go wrong with the SH Figuarts ITEM #62257 since it's so cheap nowadays, though if you're a fan of plamo like me then the Figure-Rise 6 ITEM #120954 or MG Figurise ITEM #100329 set looks great if you build it nice. Been trying to get my grubby hands on the Figure-Rise 6 set for a while but I haven't found the Double Chasers so I've held off on that set. I do, however, own the 12 Perfect Model of Wild Tiger ITEM #91753 and hoooo boy he's big and looks amazing, especially when you flip all the switches and light him up. There's also a ton of trading figures but I only own the Deformeisters and Half Age sets. This store doesn't ship outside Japan tho so you either have to use a forwarding service (I recommned BiJ biginjap.com/en...) or a proxy that places the order for you. Cas-slingby1 (hace 3 años) #3437195Can anyone help me find TIGER & BUNNY - Wild Tiger Cake Figure... Please! 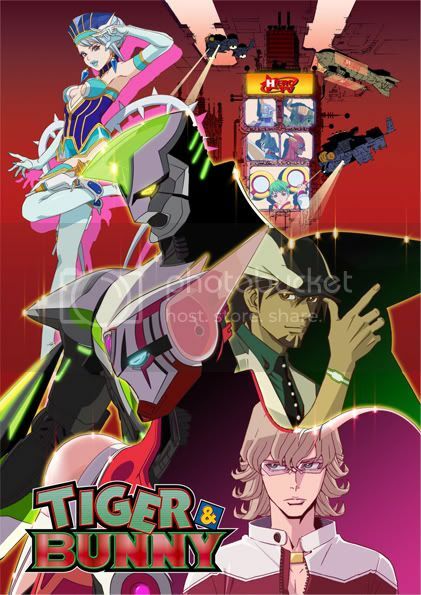 Can anyone help me find TIGER & BUNNY - Wild Tiger Cake Figure... Please!